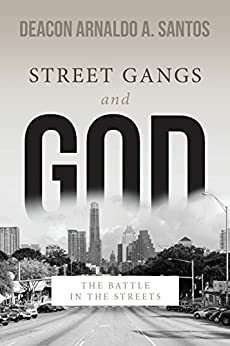 “‘As a minister of charity, deacons are leaders in identifying the needs of others and meeting those needs.’ So writes Deacon Arnaldo Santos in Street Gangs and God—The Battle in the Streets. In his book, Deacon Santos does just that: he identifies an issue facing many and gives encouragement as how to best address it in the light of the Gospel. What is this issue? Street gangs. - From the foreword by Most Reverend Dennis J. Sullivan, D.D. Bishop of Camden, N.J.
- Monsignor Michael T. Mannion, S.T.L, M.A. Director of Community Relations for the Diocese of Camden, N.J. I enjoyed this book very much. I especially enjoyed the decons early life travels and trials and his later reunion with his father. Being a police Detective in one of the most crime ridden cities and then rising above it all, to serve god and his fellow man is inspiring. 5.0 out of 5 starsTHE BOOK TO READ. This book is a must read for every parent. The book is very informative to parents who are concerned about their childrens safety and well being while they are not with their parents.This book reminds us of our responsibilities to our children, and also how we, as adults, should strive to live our lives to please and honor God.Ithink anyone who reads this book will be pleased, and better informed about what our children must face while not under parental supervision. 5.0 out of 5 starsA very inspirational and enlightening book! A very inspirational and enlightening book. Deacon Arnaldo shares his personal story while shedding light on the reality of street gangs in our midst and the importance of God in our families. We thank God for the Deacon's witness and wisdom in guiding us to confront this terrible evil. A must read for parents, grandparents, counselors, teachers, law enforcement professionals, youth ministry leaders, clergy and all who are interacting with our youth! The powerful testimony and experience keeps you captivated.